Edited by Jeremy Ashbee and Juliam M. Luxford. 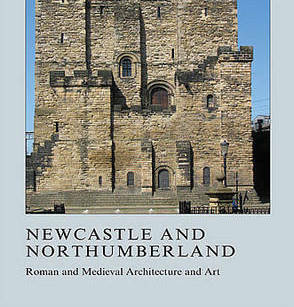 The long and vibrant history of north-eastern England has left rich material deposits in the form of buildings, works of art, books, and other artefacts. This heritage is examined here in fifteen studies, ranging from the sculpture of the Roman occupation through the monuments and architecture of the Anglo-Saxon and Norman periods, to the manuscripts and fortified houses of the later Middle Ages. The expert opinions presented here are intended to stimulate and advance scholarly debate on the material culture of a region which has played a critical role in English history, and whose broad and varied profile still offers many opportunities for critical inquiry. Emma penned the chapter ‘“…he went round the holy places praying and offering”: Evidence for Cuthbertine Pilgrimage to Lindisfarne and Farne in the Late Medieval Period’.